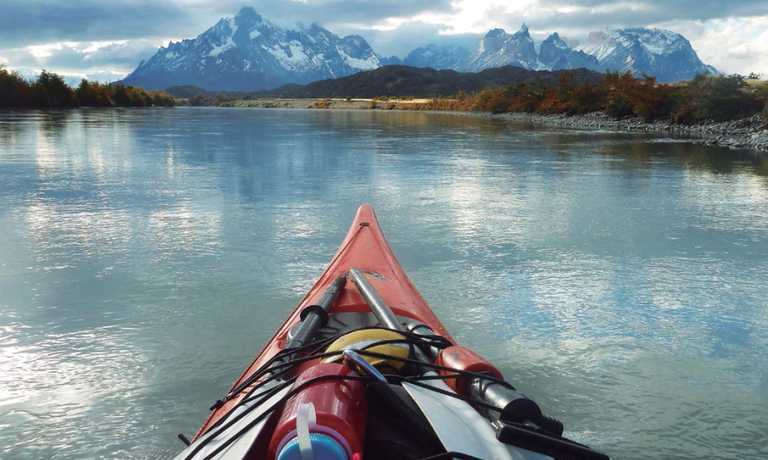 See the best of Torres del Paine's landscapes and wildlife by Mountain Bike, Trekking, Ice Hiking and Kayaking- no previous experience required! Our guide will meet you at Punta Arenas Airport and transfer you to Puerto Natales, a three-hour drive through the Patagonian pampa. Our evening will consist of dinner and a meeting to discuss the plan for the coming days. Transfer by van to Torres del Paine National Park. This is a two hour journey crossing the pampa Patagonica. We will begin by trekking to the Ascencio Valley where from above you see the river (of the same name) running wildly past refugio Chileno. After a quick stop here we will continue through a forest of the native Lenga (Beech) trees until reaching the glacial moraine. From here it’s a 1 hour trek to the top where the towers appear from nowhere! This trek is spectacular where you get to view the 3 pink granite towers with its glacial lake below that made the park famous. Hop on a mountain bike with us and experience Patagonia like you never imagined before! Today you will leave with your guide from our Nash Serrano lodge start cycling along side Serrano River. There are many trails here and your guide will pick one with you to explore the area. You will have views of the Paine Massif and be able to enjoy some of the open pampas and rolling hills of the area. In the afternoon you will return to our base in Serrano river, biking around the area. Dinner and night at Nash Serrano Lodge. We will travel by van through the national park, with a stop at the Salto Grande waterfall. Cross Lake Pehoe by catamaran. Trek along enchanting Lake Grey with magnificent views of Glacier Grey and floating icebergs. 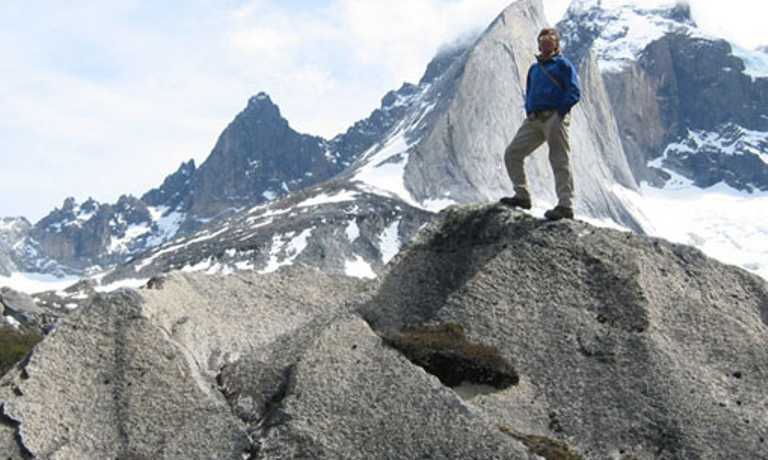 Visit to the glacier lookout point and to the lakeshore for up close views of vibrant-blue icebergs (Paine is a Tehuelche Indian word for "blue"). During the afternoon 10 minutes walk to our base camp Bigfoot, located on the northeast coast of Lake Grey. Here our guides introduce us to the equipment needed for the tour and we will have a safety briefing. After this, we will carry the kayaks approximately 20 metres to the lakes’ edge. Now the tour really begins! 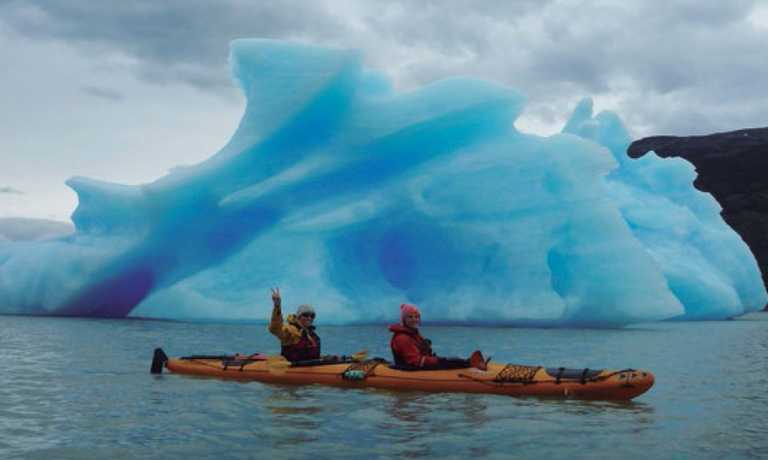 We will be paddling around icebergs that are floating in the lake and afterwards we paddle towards the eastern side of the Grey Glacier to wonder at the spectacular scenery in this special place. If conditions permit, we can paddle closer to the glacier to get a really good view. After this, we will paddle back to the start point. After breakfast, the guides will have an introductory chat, and explain the route, the time the tour will take and also test the equipment, and adjust it correctly for each passenger. Then, we go in a zodiac boat for 15 minutes until we reach the west side of the Grey Glacier. On arrival, we will disembark on the island at the glacier (nunatak) and we will walk on it for about an hour until we reach the ice. Before walking onto the glacier, the guide will talk to us about the safety aspects, and they will explain the techniques of displacement in the ice and the correct use of the equipment. Once the safety briefing is complete we will begin our exploration of the Grey Glacier which will last approximately 3 hours. During this time we will be able to observe cracks, rivers, lagoons and tunnels with their different tones of blue. We return to the zodiac boat and ride back to the base camp. After lunch, a 2 hour boat trip on Grey II on this magical lake surrounded by icebergs, where the boat does a circuit right up to the front of the glacier whilst you stand on deck sipping your pisco sour served with glacial ice! Transfer from Grey lake to Puerto Natales. Transfer to Punta Arenas. End of trip. Departures can be set up for a minimum of 2 people. Please get in touch to check for your dates. This trip can run as a group trip, with prices starting from $1,990 per person for a complete group. If you are looking to join a group or you are a solo traveller we will help to form likeminded groups of travellers. Please let us know your travel plans.